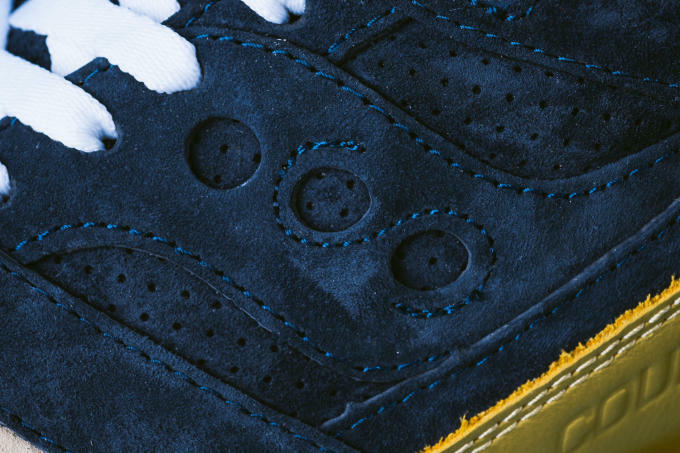 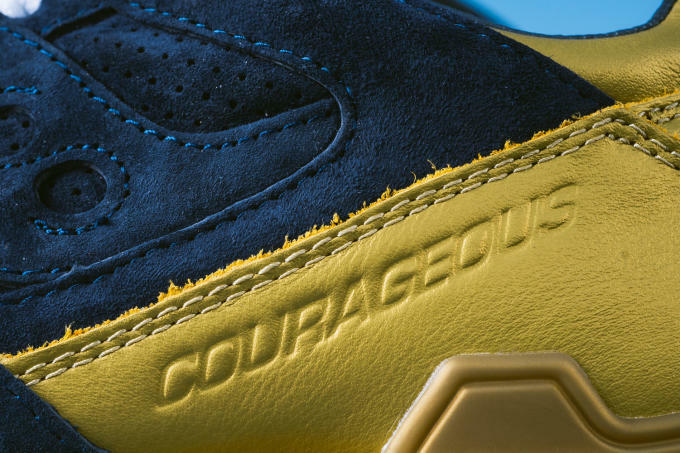 Here Are the Official Release Details for the Sneaker Politics x Saucony Courageous "The Jackson"
Joining this weekend&apos;s packed house of sneaker releases will be the latest and final entry in Sneaker Politics&apos; "Battle of NOLA" collection with Saucony. 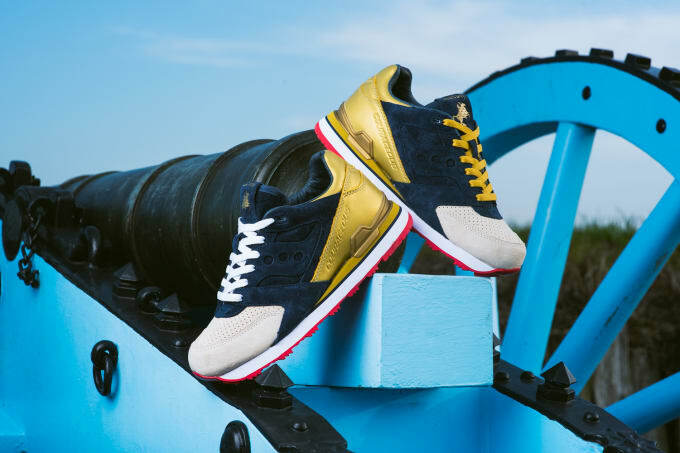 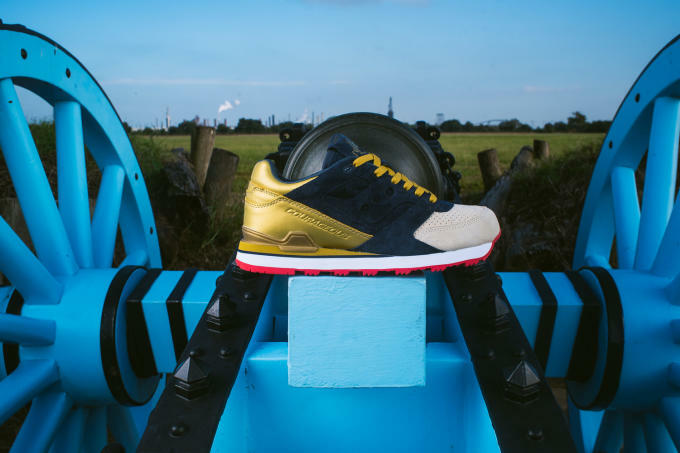 Sticking with the Saucony Courageous model used on last month&apos;s "The Cannon" release, this sneaker pays tribute to the heroic efforts of General Andrew Jackson during the battle, whose decision to let pirate Jean Lafitte&apos;s troops fight alongside the Americans proved to be pivotal. 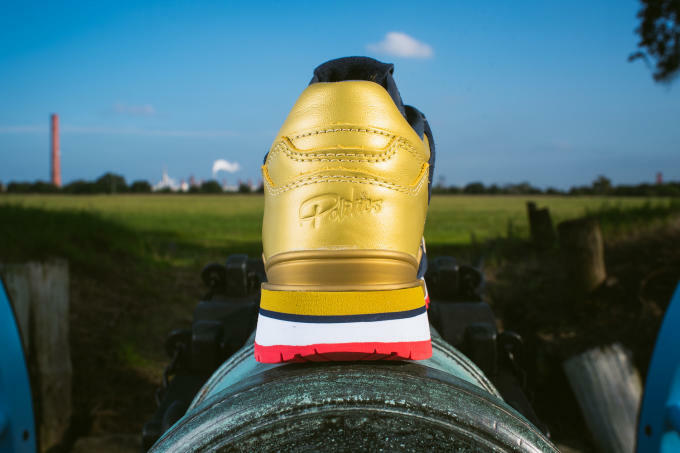 To achieve this, Sneaker Politics looked directly to the General&apos;s uniform worn by Jackson. 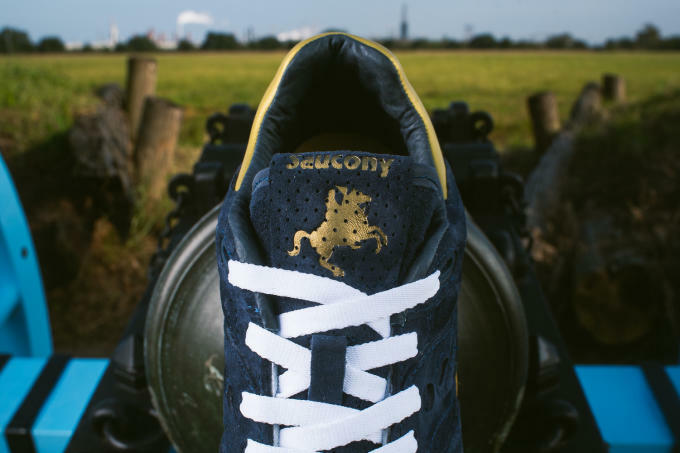 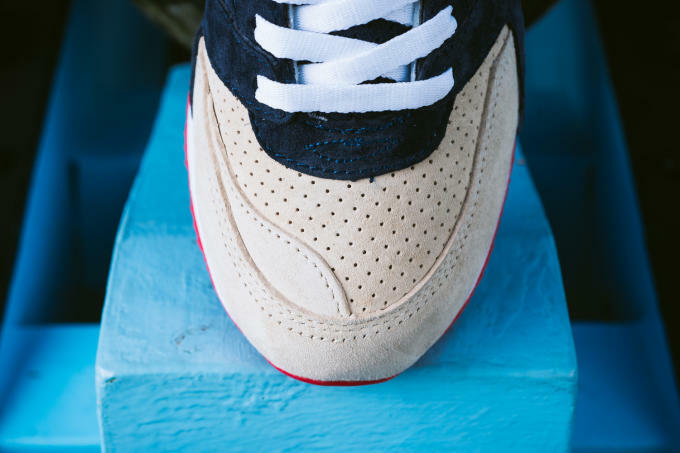 "The Jackson" is composed of navy and cream velvet suede with a hit of gold leather at the rear. 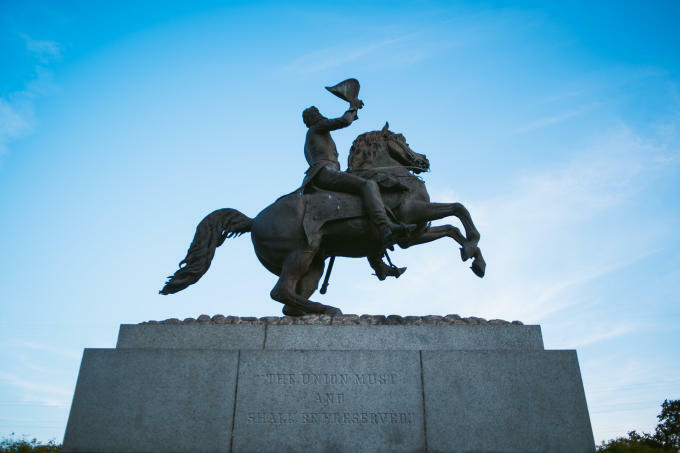 A silhouette of Jackson mounted atop his horse appears on the perforated tongue, while the outsole has been given a red coat to signify the bloodshed on the battlefield. 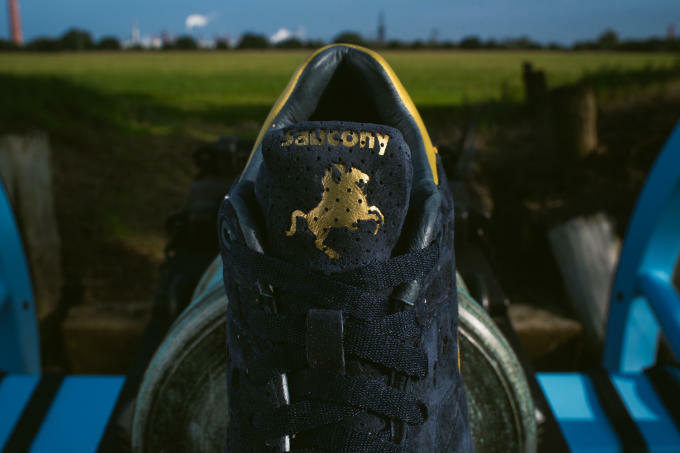 The Sneaker Politics x Saucony Courageous "The Jackson" releases tomorrow, November 13, at 7 p.m. EST online and in store.